TCO Labs, Inc. is a 501(c)(3) nonprofit organization focused on fostering entrepreneurship at the Johns Hopkins Homewood campus and getting students involved in Baltimore's innovation ecosystem. TCO Labs hosts a variety of small and large events each year to build excitement and encourage participation in entrepreneurship. From our bi-weekly Hatchery workshops to our annual Hatch Innovation Conference, there are events to suit every interest. From building entrepreneurial ecosystem maps, to connecting students with internships at local startups, to finding young entrepreneurs mentors & advisors, TCO Labs makes it easy for students to get involved in the Hopkins and Baltimore innovation communities. Starting a company is hard, but starting a company as a student poses unique challenges. That is why TCO Labs runs The Hatchery, the only incubator for student-run startups, nonprofits, and small businesses at Johns Hopkins Homewood Campus. Square One, held in September of each year, introduces students to the various ways to get involved in entrepreneurship at Johns Hopkins and in Baltimore. We bring together students, startups, and Hopkins organizations for an evening of casual networking. Square One 2017 is Friday, September 14th, from 5-7pm at FFU Homewood. Our Hatchery Venture Workshops teach students all about the different aspects of founding and running a venture. Held on Sunday evenings every other week, the Venture Workshops cover everything from Team Formation to Fundraising. Venture Workshops are open to all students, whether or not they are a part of The Hatchery. The Hatch Innovation Conference, TCO Labs’ largest event, brings innovative startups, renowned entrepreneurs, and hands-on workshops to the Johns Hopkins Homewood campus for a day of networking, education, and celebration. Hatch is held in the Spring of each year. TCO Labs hosts a variety of smaller events throughout the semester, including workshops, networking sessions, and tours to local startups and incubators. Follow us on Facebook, join our mailing list, or check out our interactive calendar to see what events we have coming up. Twice a month, TCO Labs hosts Office Hours where students (or community members) can share their ideas, get professional help from our network of volunteers, or just chat with entrepreneurial peers. We bring in lawyers, designers, and seasoned entrepreneurs to help students find the resources that they need to take their ventures to the next level. The Hatchery Elevator Pitch Competition gives student entrepreneurs a chance to compete for small cash prizes by giving a short pitch about their ventures. Cohosted by Alpha Kappa Psi and sponsored by the Alumni Association, the HPC is held in the late fall semester. Innov8MD is an annual conference that showcases student entrepreneurship at eight local universities: JHU, Towson, MICA, UMD, UMB, UB, and Morgan State, who make up the Maryland Collegiate Entrepreneurship Coalition. The inaugural Innov8MD event is November 9th, 2018 at Spark Baltimore. TCO recognizes the vast amount of entrepreneurial potential in Johns Hopkins undergraduate students. Whether a student wants to start a business while at school, or wants to learn salient skills for the future, TCO is here to support and inspire the next generation of doers. Top universities across the world have vibrant entrepreneurial ecosystems that supplement standard undergraduate education. By encouraging students to get involved early, these programs foster innovation across the university and prepare students for productive, value-adding careers. TCO aims to create such an ecosystem at the Homewood Campus. 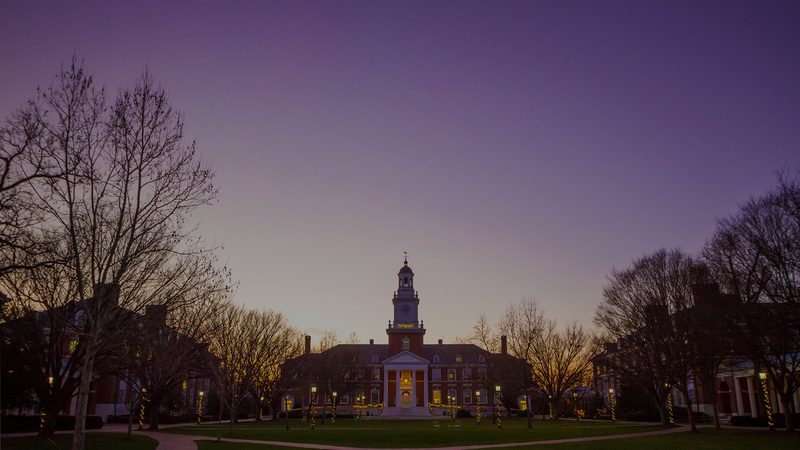 Eventually, we see Johns Hopkins University as a hub for undergraduate entrepreneurship, with a thriving startup community, support for students who pursue their own ventures, and programming for those who simply want to learn more about the world of entrepreneurship. But our work doesn’t end there. Baltimore is our home, and we feel its vast potential. But we recognize that talent needs to stay within the city in order to catalyze Baltimore’s economic revival. By connecting student entrepreneurs with resources throughout the city, we aim to keep the most promising companies and top talent within Baltimore after graduation. It all started in August 2015. Weeks away from arriving on campus, we spent much of our day getting to know our fellow classmates and learning about campus life and classes on the JHU Class of 2019 Facebook Group. Ice breakers, surveys, group chats, we did it all in an effort to find common interests. Looking to jump on the bandwagon and find fellow Blue Jays interested in “entrepreneurship, business, tech, and all that good stuff” as I put it, I made a post one night expecting maybe a handful of people to answer. What I woke up to the next morning was pretty surprising; I had over 35 people all asking to join. I made an FB group and subsequently an FB group chat and named it ‘The Crazy Ones’ after the famous Apple quote. The now infamous chat went just how you’d expect a group chat with over 35 people to go; it was constant messaging for a few days until it died down to a group of around twelve who later became known as ‘The Craziest Ones’. That latter chat was a complete success. We quickly became like family, at times reaching 1,000 messages per hour, and even Skyping a few times. We talked about entrepreneurship, food, life, and everything in between. Having people from all over the world, the messages never stopped. Waking up to 5,000 unread messages was a common occurrence. There’s something special to be said about getting to know someone through texting, where people tend to be real, unfiltered, and engaged.